India’s prime minister while commissioning India’s largest indigenously build frigate, INS (Indian Naval Ship) Kolkata, gave out his government’s strategic doctrine as deterrence. As he put it, a strong military ensures that no one dare cast an evil eye on India. Deterrence is the ability to influence a putative adversary’s calculations of relative gains and losses in a way that he decides against taking action that may harm us. A strong military signals to the adversary impossibility of military gains either in face of heavy losses or by the surety of punishment. This stops an adversary from an action undesired by us. This article reviews India’s strategic doctrine of deterrence and tests whether this is true for India’s two fronts: China and Pakistan. While deterrence serves India on the China front, India’s cancellation this week of the talks with Pakistan suggests that on the Pakistan front there is more to India’s strategic doctrine than deterrence. India has managed to arrive at deterrence after investing in its military over the past decade. On the Pakistan front it has three strike corps, one more than Pakistan, and has a doctrine by way of which it can use these in a nuclear setting. On the China front, it has raised two mountain divisions and a mountain strike corps, opened up high altitude airfields and staged forward combat aircraft. It has sensitized China to its maritime vulnerability with the prime minister commissioning two warships in quick succession: aircraft carrier INS Vikramaditya, as his first official act, and more recently INS Kolkata. Since deterrence is always a work-in-progress, these efforts continue with the country spending $350 million on arms imports this year. It has also upped the strategic partnership with the US, with the US becoming the largest military supplier to India, which incidentally is the largest arms importer in the world. This helps in external balancing or leveraging diplomatic resources to enhance power especially since China’s defense spending is three times India’s. On the nuclear dimension, India has given itself a Strategic Programs Staff, headed by a former three star rank officer, presumably to upgrade operationalization of its nuclear deterrent. Against the ‘two front’ ‘collusive’ threat in which Pakistan and China are taken as ganging up against India, particularly where the two fronts converge in Ladakh, India has inducted an armored regiment and is to induct an armored brigade onto the Leh plateau. One of the two divisions of the mountain strike corps is being raised in Pathankot, perhaps to be immediately on hand for induction into Jammu and Kashmir (J&K). The mountain strike corps could build up in its wake. Therefore, the worst-case has also been catered for. These efforts suggest that deterrence alluded to by the prime minister is in place. Pakistan has already registered as much, a fact mentioned in the prime minister’s Leh speech in his reference to Pakistan resorting to proxy war since it was not able to conventionally move India on Kashmir. Instead, India has the capability of going on the offensive against Pakistan, albeit one restricted by the nuclear threshold. Thus, it has ability for both ‘deterrence by denial’ and ‘deterrence by punishment’. Chinese president’s visit to Delhi next month indicates India’s diplomatic outreach to keep deterrence from being tested. It is on the Pakistan front that dissonance in strategic doctrine is apparent. This week, India has proceeded to summarily cancel the exploratory talks with Pakistan. Pakistan for its part said that it was not subservient to India. This exchange between the two sides suggests that Pakistan is projecting itself as a state that will not be intimidated and India in its cancellation of talks appeared peremptory. 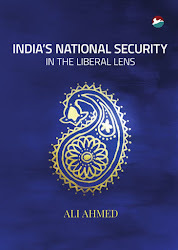 As seen with offensive deterrence in place, India was militarily in a comfortable position with Pakistan. And yet it chose not to use the favorable military positioning to diplomatic advantage. What does this imply? 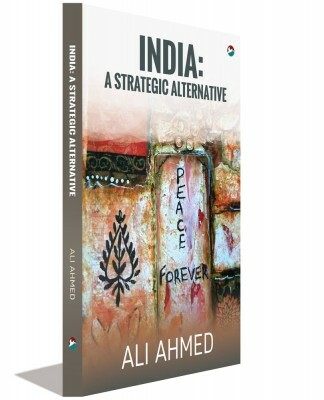 India’s deterrence subsumes its defense against proxy war with its military poised to deliver a ‘befitting reply’ on the Line of Control (LC) and continuing to dominate the hinterland in Kashmir. India fears possible diversion of Islamist energy by Pakistan into Kashmir with the planned US drawdown in Afghanistan by 2016. It is here that India’s offensive capability kicks in. The capability is to send the message that India has the capability and new conventional doctrine it lacked earlier in the nineties to administer conventional punishment. However, the dynamics at the nuclear level, in particular Pakistan’s testing of its tactical nuclear missile system in November 2013, have emboldened Pakistan. Increased LC clashes are evidence that it is sensitizing India; thereby attempting to incentivize India to talk. In the event, this proved counter-productive. For India, the current juncture indicates the limits of offensive deterrence. At best it can create a favorable condition for talks. It cannot bring about the outcome of Pakistan abandoning Kashmir. Only meaningful talks can and so can ‘compellence’, a strategic concept involving compelling the adversary to give up a course of action embarked on, if successful. By not keeping up with talks, India is tending towards the latter. 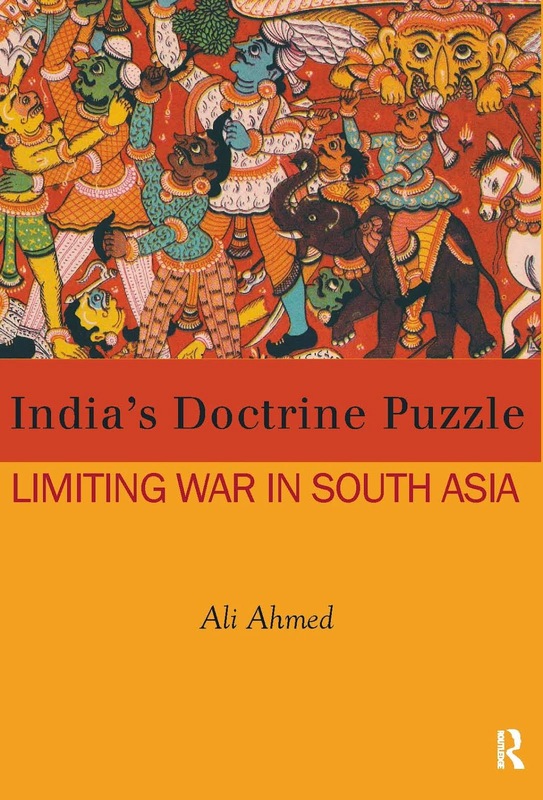 Given that India has an active diplomatic prong to complement deterrence for the China front it needs to replicate this for the Pakistan front. On this score, its cancellation of the talks with Pakistan right at the inception earlier this week is counter-productive. The self-fulfilling prophecy could well kick in: India’s tendency towards compellence can only prompt Pakistan’s ‘deep state’ or ‘establishment’ to up-the-ante and vice versa. India can do without such dissonance in its strategic doctrine.